The Court held that the allegations in Kent’s action were that Fisher and Godfrey had control over the actions of the corporate defendants due to their positions as officers and, in the case of Godfrey, as a director, and that their failure to act, communicated defamatory words to a third party (para. 69). The Court, after considering the case law dealing with the tortious liability of corporate directors for their actions while conducting corporate business, concluded that it established that “directors and officers will not be personally liable unless their actions are somehow separate from those of the corporation in such a way as to make the corporation’s tort their own" (para. 68). It found no evidence of any action that would make the publication or republication of the article about Kent their own deed, rather than an act of the Postmedia or National Post corporations. The Court pointed out that their roles in the corporations did not charge them with control over editorial content in the newspapers or on the websites. Because they were not in charge of this content, the Court concluded that their failure to take independent active steps to remove the article from the websites was not a sufficiently separate act to make publication their own defamatory act (para. 70). In reaching these conclusions, the Court rejected the plaintiff’s contention that serving the Notice of Intention to Bring an Action was sufficient to impose on the recipient officer or director individual responsibility to personally act to resolve the alleged defamation and that serving such a Notice will create personal liability for that director without any reference to their role and degree of control over content in the organization. 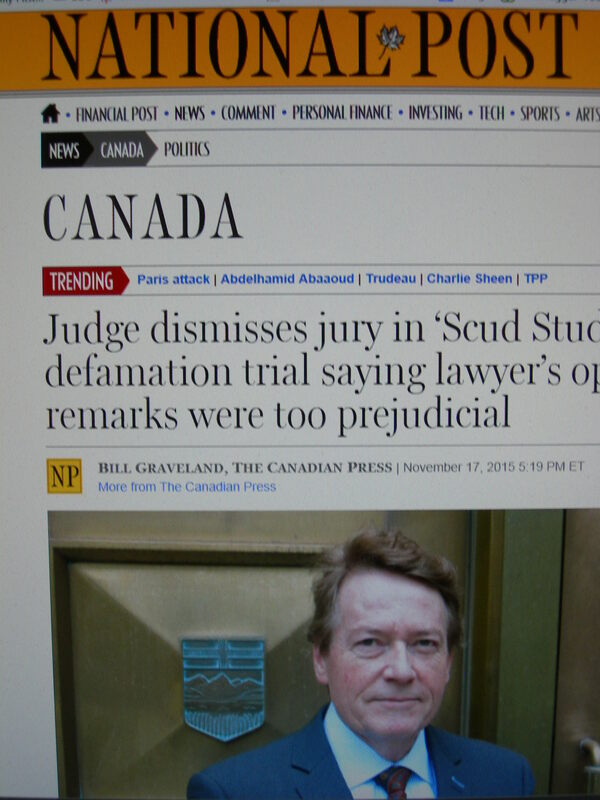 Accordingly, the Court dismissed the action against Fisher and Godfrey, on the ground that they were not personally liable for any defamation caused by the publication of the article about Kent in the National Post or on Postmedia websites. Directors facing allegations of defamation based on their corporation’s actions should note that this decision was based on the particular roles and authority over content exercised by Fisher and Godfrey within their organizations. A director or officer whose role includes control over the content of corporate communications to third parties may face personal liability for a failure to remove the allegedly defamatory material, if it is eventually established to be defamatory. In such cases, an urgent consultation with legal counsel should be considered.